Einbilden wrote: Keep me posted please. Will do!! If I ever get to that point where I can cast it. I found a place that will do one off castings, so I may inquire about pricing.. It's not how I want to do it, but I don't have a ton of time and I just got promoted with a nice raise, so having someone else do it may be the case if I can't get it cast with my coworker by like January haha. 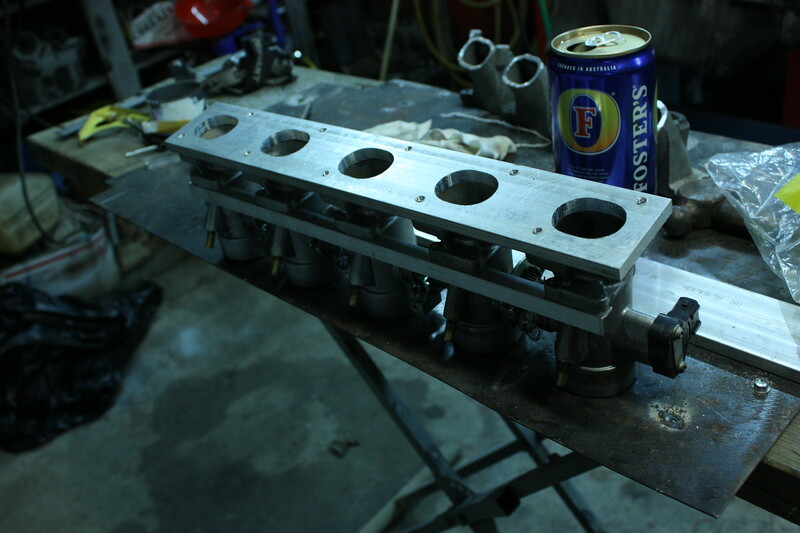 No matter what a manifold will be getting made! But no real updates as of late. I've been busy with my new place. 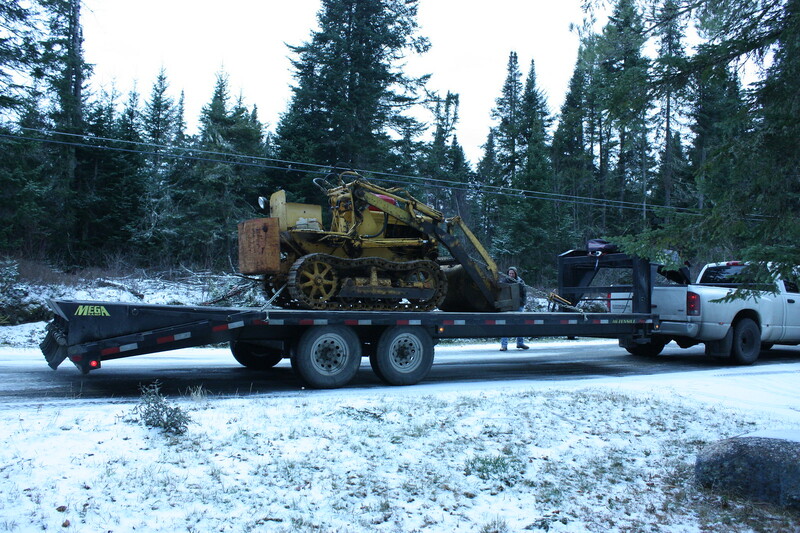 I actually recently purchased a 1957 ATC Terraloader 256 to move snow from my driveway, clear some roads through my property and haul large logs out. Some of you might think this is pretty cool! My dad and my dog checking it out. 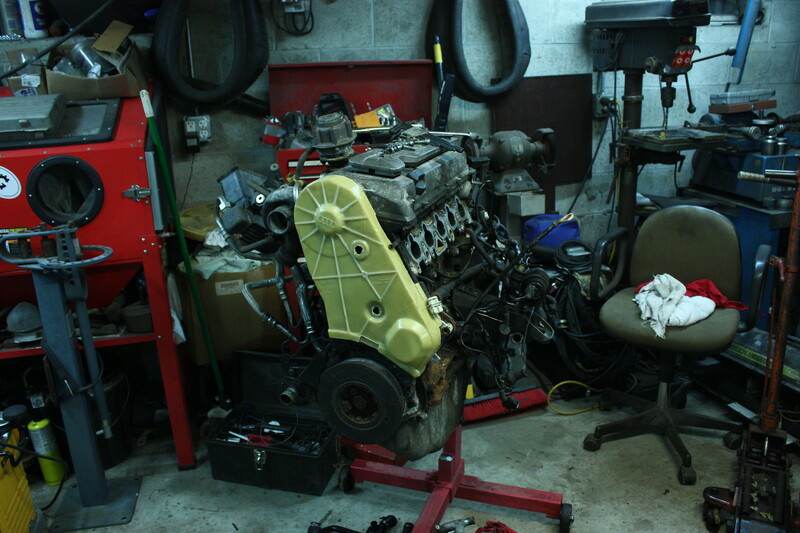 And this past weekend I was able to get the AAN into the garage up on the stand and start working on it.. I've only got the intake off so far, but it's a start. I'm into that trackloader!!! Never heard of the make. What's the power plant? dana wrote: I'm into that trackloader!!! Never heard of the make. What's the power plant? I shouldn't have abbreviated the name. It's an American Tractor Corporation which specialized in crawlers/dozers. They were bought by Case in late '57, so it's basically a Case because Case didn't change anything on these for a few years. It's got a good old Continental F140 flathead in it. I love the old Continental flatheads, and this one runs like a top!! And with the 3 speed gear box and a new set of track adjusters my dad and I fabbed up, the thing boogies along pretty darn good and can turn on a dime just about! 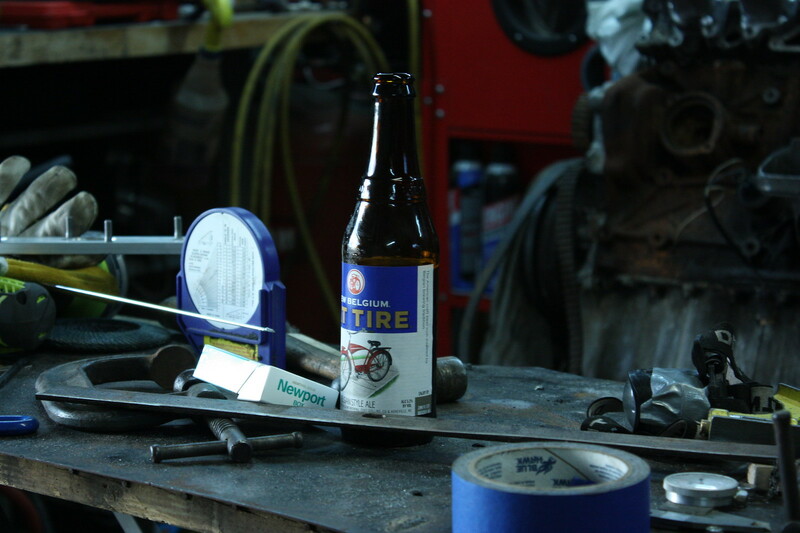 Man, I just look at the details in the background of your pics and think envious thoughts about how you (and plenty others around here) have a small fortune amassed in tools and equipment that make killer projects like yours possible by a one man band. ahh yes, that does look like a case. I have run a similar old case working on a farm in high school. Tools and equipment is an awesome investment as far as I'm concerned. 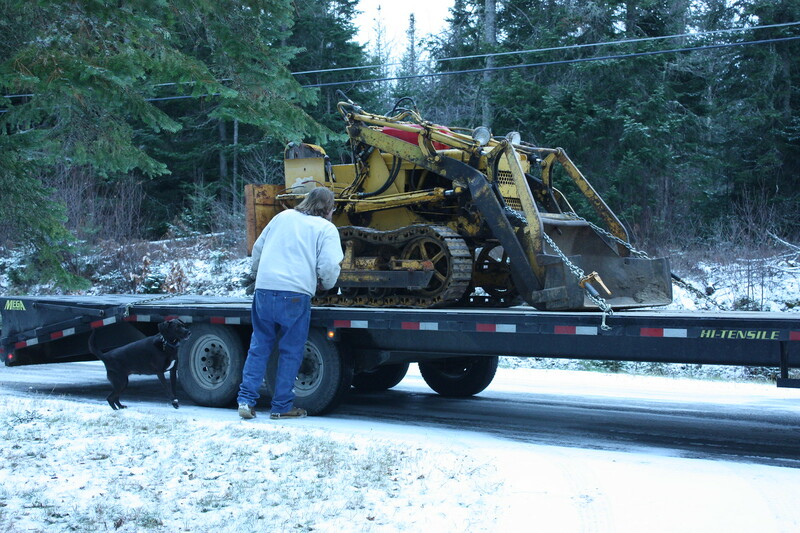 Especially older equipment if you can get something that is in usable condition. They basically never depreciate, and can pay for themselves with one big job. Plus equipment is awesome. /justification-for-dropping-thousands-per-year-old-machines. I hear dana can help you put a turbo on it. Flatheads need all the help they can get, right? 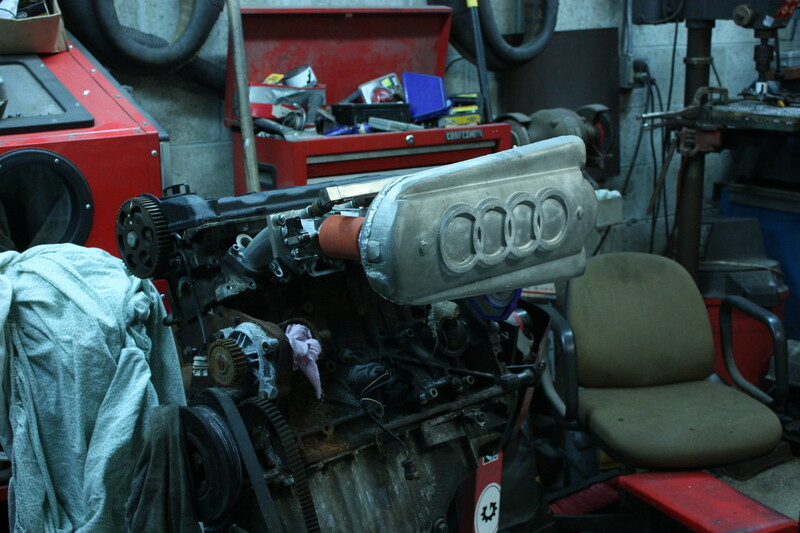 the german wrote: I hear dana can help you put a turbo on it. Flatheads need all the help they can get, right? megasquirted and turbo'd flathead sounds about right to me. I've got the K24 off the AAN that needs a rebuild and the first thing I thought when I bought it was, "I could rebuild that turbo and turbo this and it would be pretty goddamn cool". PRY4SNO wrote: Man, I just look at the details in the background of your pics and think envious thoughts about how you (and plenty others around here) have a small fortune amassed in tools and equipment that make killer projects like yours possible by a one man band. Thank you for the kind words! All good things take time whether it be collecting absurd quantities of tools or these cars we screw around with. It's all worth it in the end though! dana wrote: ahh yes, that does look like a case. I have run a similar old case working on a farm in high school. That's exactly it with this stuff. That crawler cost me $1400 and only needed track adjusters ($15 to make), the seat reupholstered (free cause I had material) and to have the gas tank cleaned, hence the boat gas tank on top. It starts right up, idles perfect, operates under load perfect, all the hydraulics work perfect. And I know for what I'm going to be able to do with it is going to pay for itself in no time. And obviously, the cool factor was too much for me to not buy it. 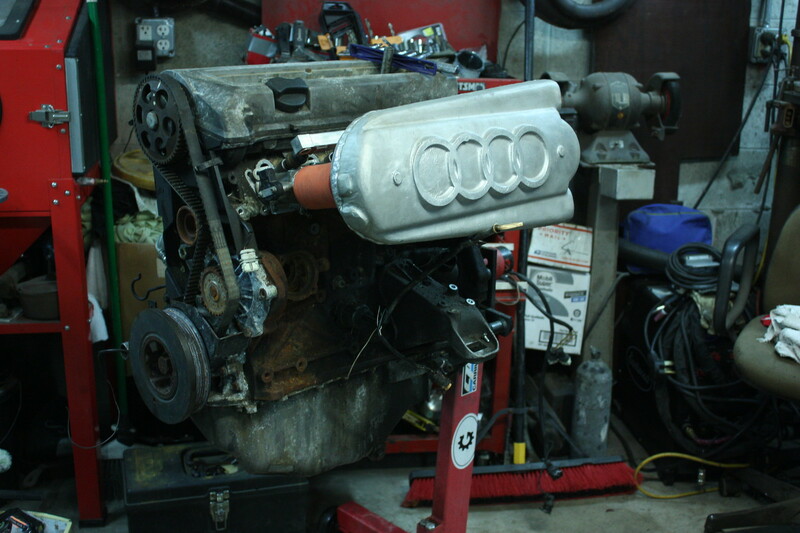 Played around and mocked up the whole intake.. It's a shame I don't have a spare head.. 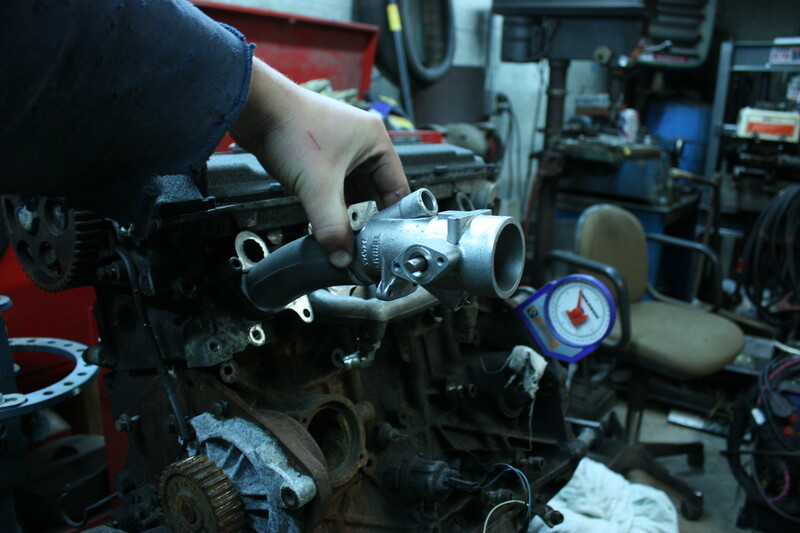 I'd just modify it and make this a direct-to-head throttle body set up instead of casting an adapter manifold. Anyway, it looks sweet. Update time! 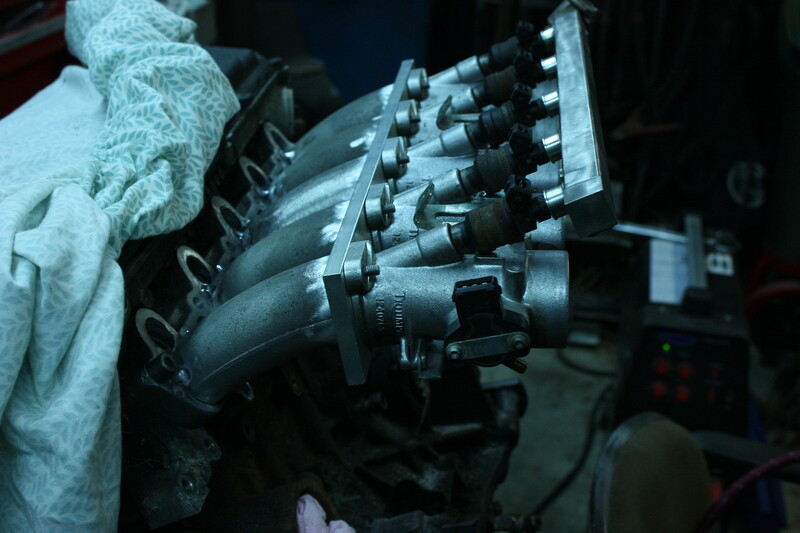 I've decided that I'm not going to bother with trying to cast the manifold to mate the throttle bodies to the head for now. Maybe in the future, but for now I'm too busy and the guy who is willing to help me make the molds and has the ability to cast it is too busy as well. 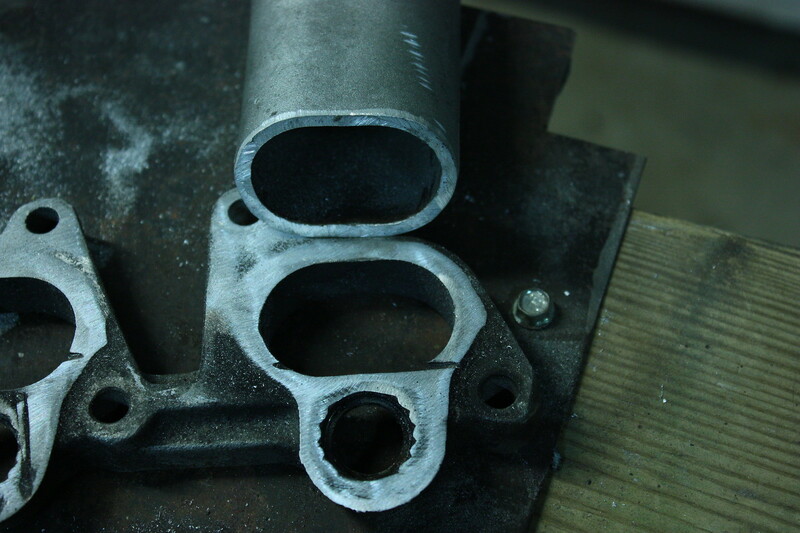 Now I came to this decision, I decided I would just weld up a manifold and that would be good enough for me for now. 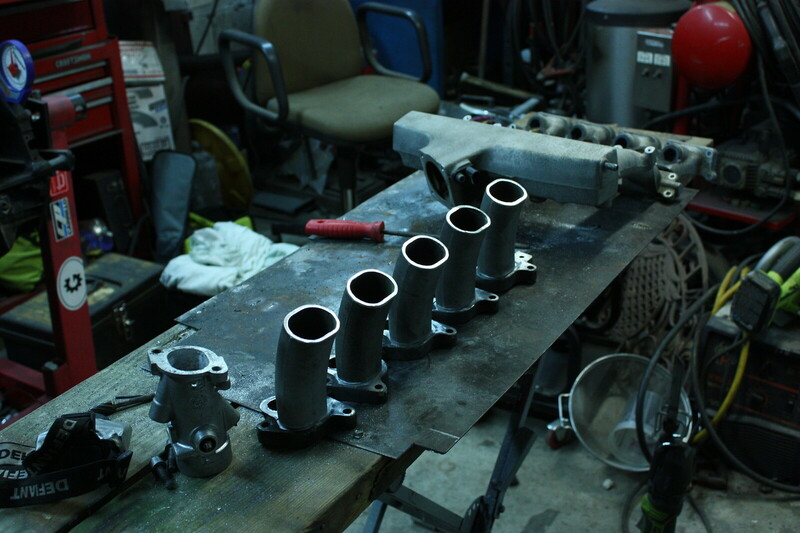 I started with cutting the factory AAN manifold down to just the flange. Then I picked up some aluminum bar that's 3/8" thick, 2.5" wide and 4ft long so I'd have extra. I took all the measurements from the throttle bodies and transferred that layout to a piece of the bar stock that was approximately 16" long. This layout was done with nothing more than a metric ruler and a vernier caliper and was eyeballed to the best of my ability. 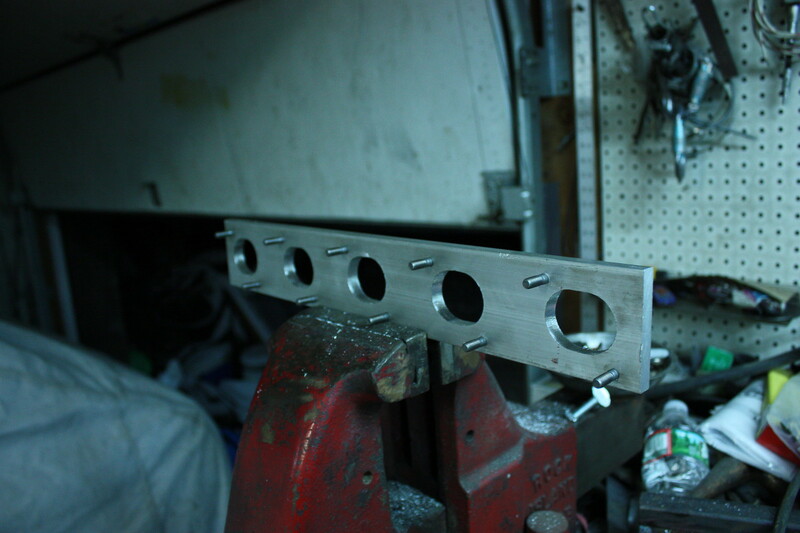 Then I drilled all the holes for the studs with a 5mm drill bit so they could be tapped with an M6x1.0 tap. I drilled the ports out with a 1.25" hole saw and then I finished expanding the ports to the proper dimensions with a die grinder. It came out perfect which made me happy considering I used pretty crude tools and eyeballed most of the measurements. 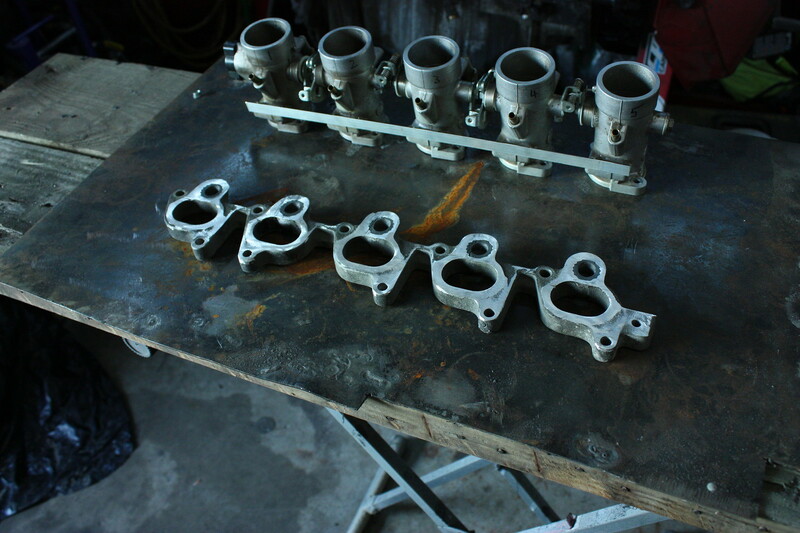 Then I picked up two small port 1.8t manifolds for about $40. I know small port, but I had a feeling after inspecting the manifolds for some time that if I cut them just before the injector cup the dimensions inside the runner should line up damn close with the port dimensions of the AAN head flange and sure enough they did. Time for a quick mock up. which looked good, minus the length which may be a little long, but I will play with that. Then I cut the rest of the runners and tacked everything up. That's all for now. I should have this all welded up by the end of the week. Also, for anyone that may know. Does the angle at which the engine sits change from a small chassis car to a big chassis car? Obviously this AAN came from a C4 and is going into a B2 chassis car and I want to make sure that there is no difference in how they sit before I get this all welded up and then find out it's not how it needs to be/how I want it. Well as far as I can tell, gearbox shares the same architecture either it's a B ou C chassis, they always "sit flat/straight", so I guess engines are always matched to them in the same position/angle .. (?) so unless 32Bs are any different than an Audi B2, I'd say : "nah"
That's a good point about the gearbox sharing the same architecture. I didn't think of it that way, but I suppose the angle must be the same based on how the engine bolts to the gearbox alone. As for the nose, I do think the 32B has a bit more of an inclined nose, but it's minimal I think. Nice. Good work on the adapter plate and I like the use of recycled/re-purposed bits and pieces. 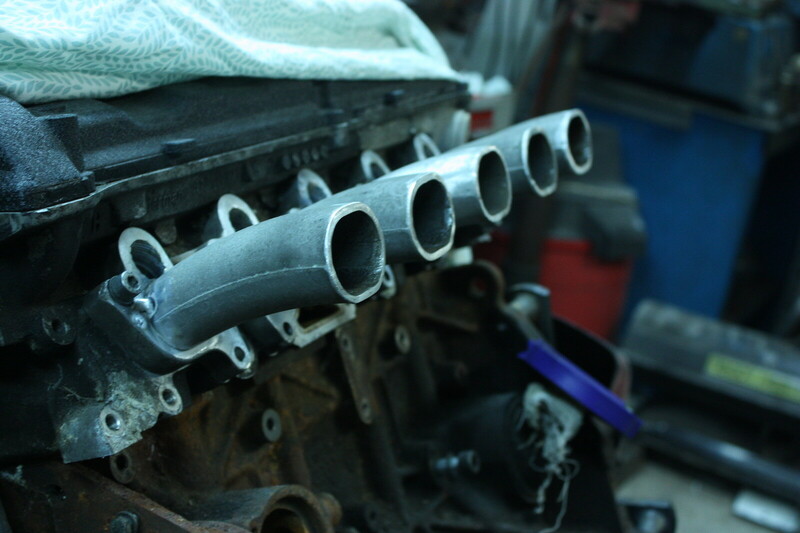 Can't wait to see how that manifold turns out! I recall reading about the small port AMB being better due to velocity compared to the bigger AEB heads. Pretty sure it was from testing by Aaron on his Cq drag car? At any rate... we gotta get you into some decent beer! PRY4SNO wrote: I recall reading about the small port AMB being better due to velocity compared to the bigger AEB heads. Pretty sure it was from testing by Aaron on his Cq drag car? And on a serious note I can totally see the small port being better for that reason. The big port is huge, and these runners have a real nice taper as they approach the port which will really speed the air up as it travels down these long runners. Got the flange tacked to the runners today. 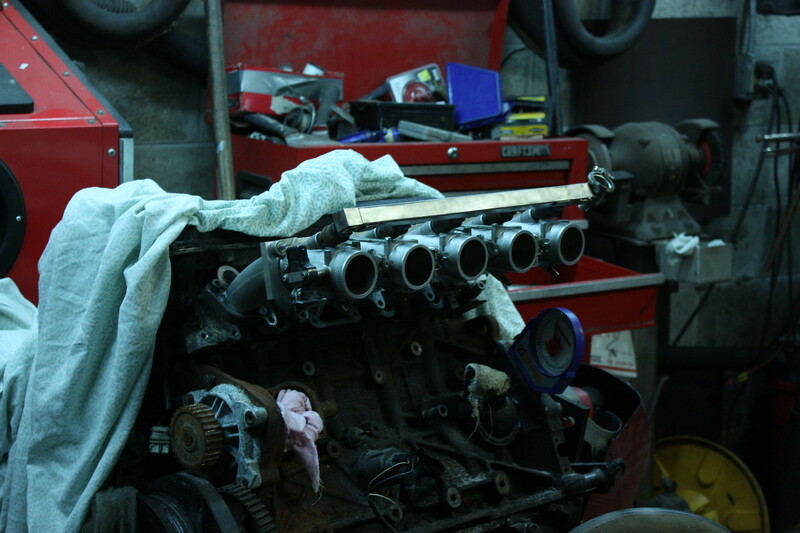 I think it looks pretty good with the throttle bodies in place! That does look good. 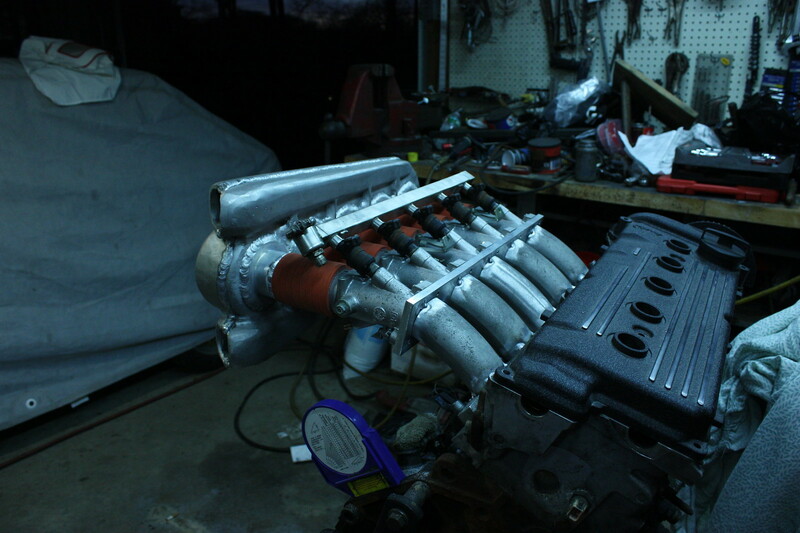 Hows it look with the plenum on there? Also, why put the injectors upstream rather than down by the ports? help cool the charge air? 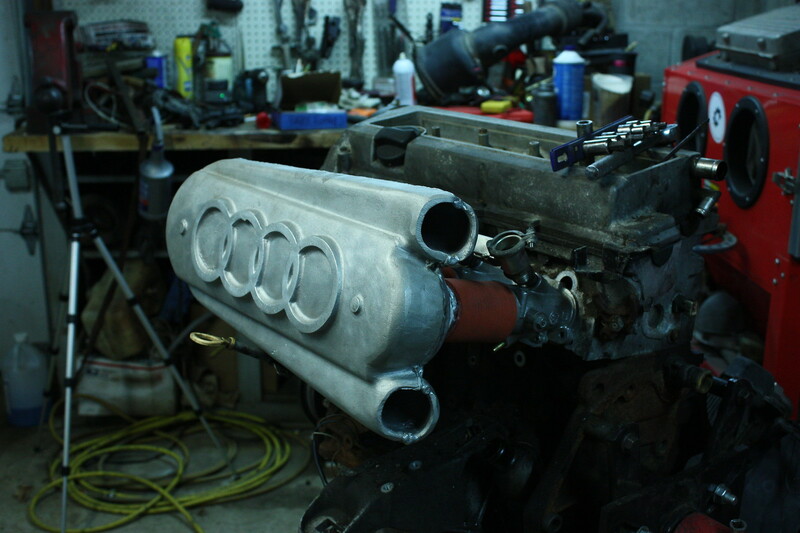 It looks good with the plenum on there. I would have taken some pictures of it on there, but I don't have any nuts to tighten the throttle bodies down right now so it was pretty sketchy trying to keep it on there. 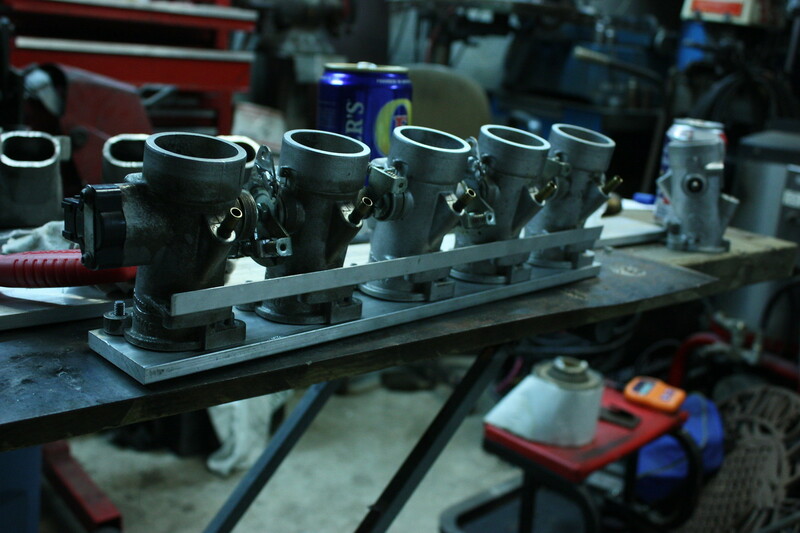 once I get nuts for the throttle bodies I'll get some pictures of the plenum. Although I think there will be a height problem.. 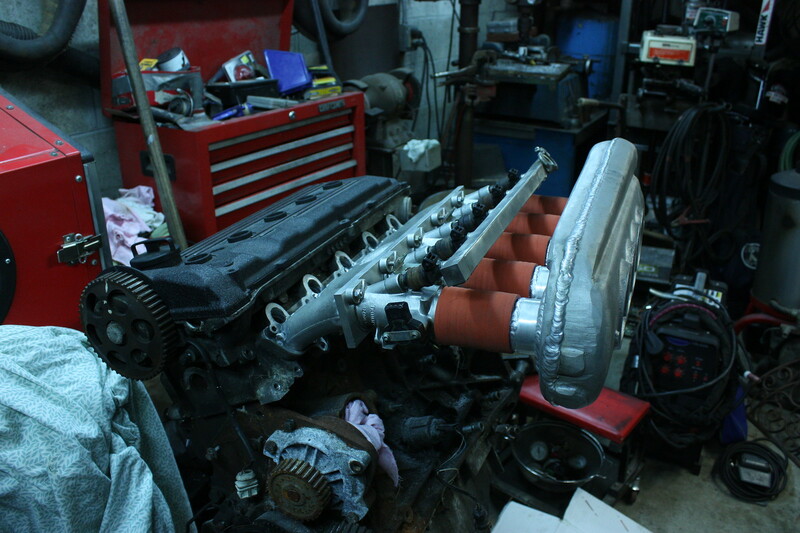 I'm worried the plenum wont clear the hood so I'm going to hold off welding the whole thing to until I can dump the engine in the car. I'd rather cut a few tacks and modify if I need to than cut full welds. 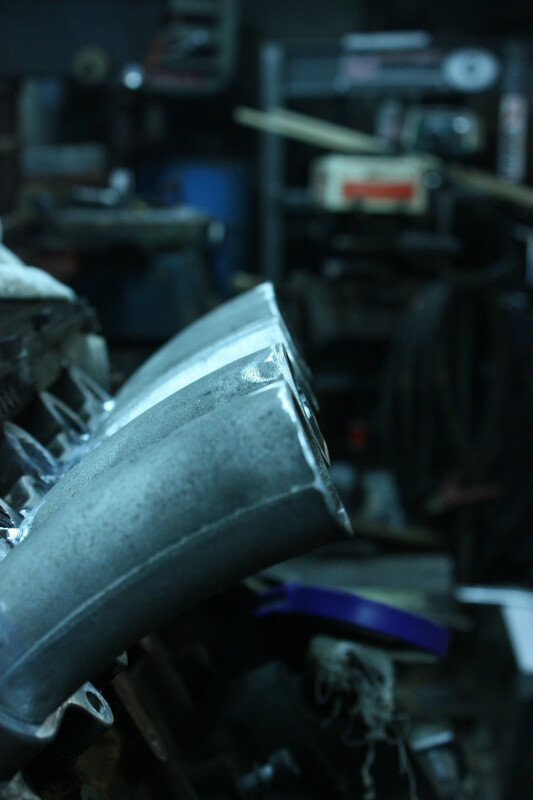 As for the injector placement, right now were the injectors are should provide good atomization at higher rpms due to the extra distance which gives the fuel and air more time to mix. 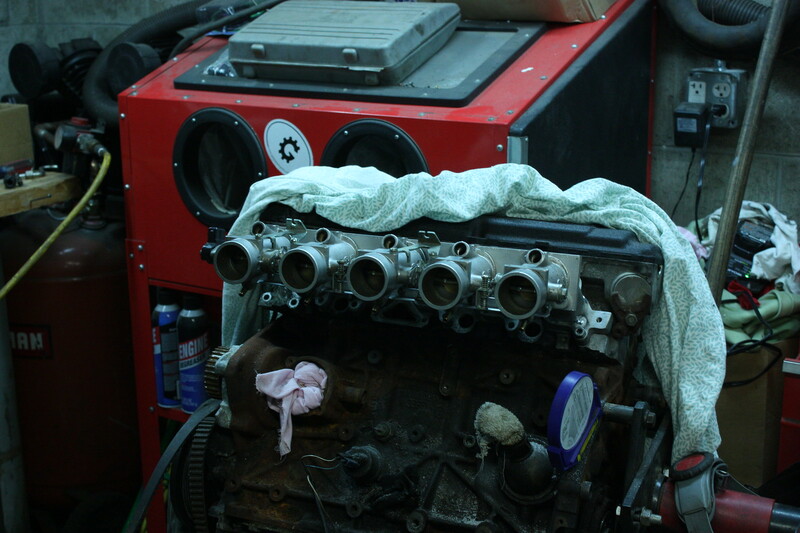 But this is really my first stab at a forced induction engine and I'm not entirely sure how critical it is like in a high strung naturally aspirated engine where the higher the operating range of the engine is the more you benefit from increasing the distance from the injector to the intake valves. I would think the same principle applies, but I could be wrong. I do suppose that cooling of the charge would be a side effect as well. At idle I feel they are a bit far. 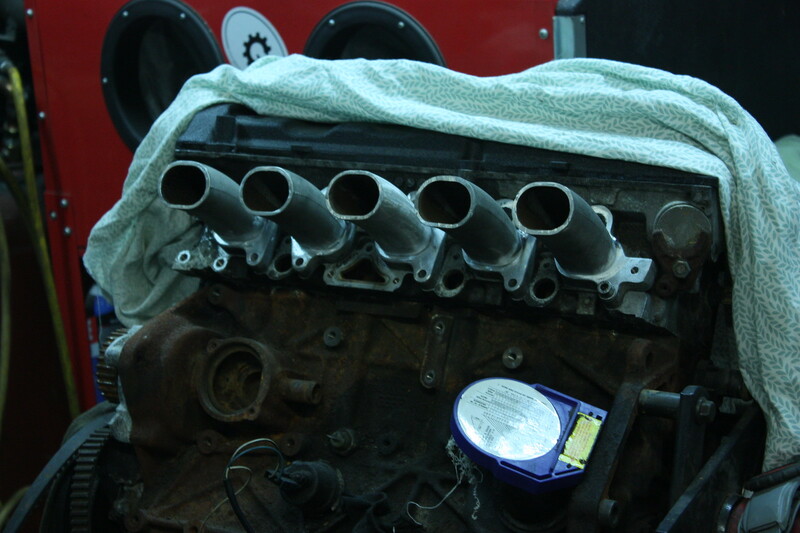 I have a set of aluminum injector ports from ross machine racing that I may put in closer to the ports so I can experiment with the injector placement and see if one placement works better than another, especially at a given rpm. 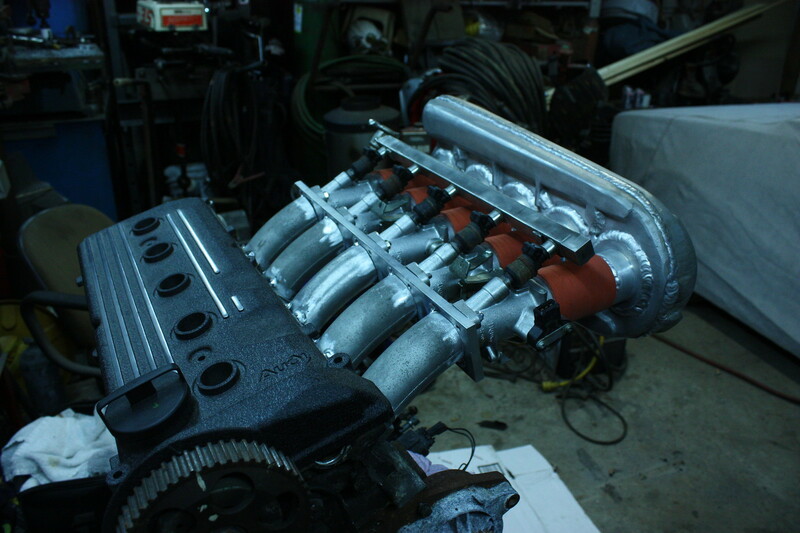 Here are some pictures with the plenum on! It's a little long, but like I said I will wait until I have this thing into the car before I go welding it completely together so I'm not kicking myself if I need to change it. I'm also going to cut the silicon connectors down about 1.25" to shorten it up a little bit. I see zero issues with fitment, so long as you're using a front rad. Looks impressive sitting on the head, can't wait to see it massaged into the QSW! PRY4SNO wrote: I see zero issues with fitment, so long as you're using a front rad. Thanks man! And yep, front rad is the plan! I'm going to shorten the driveshaft or get a custom single piece one made and then make new engine and transmission mounts to shove the engine back 2-3" so I can fit a radiator and intercooler up front without having to cut the front of the car off. I'm longing for the day it can get dropped into the engine bay.